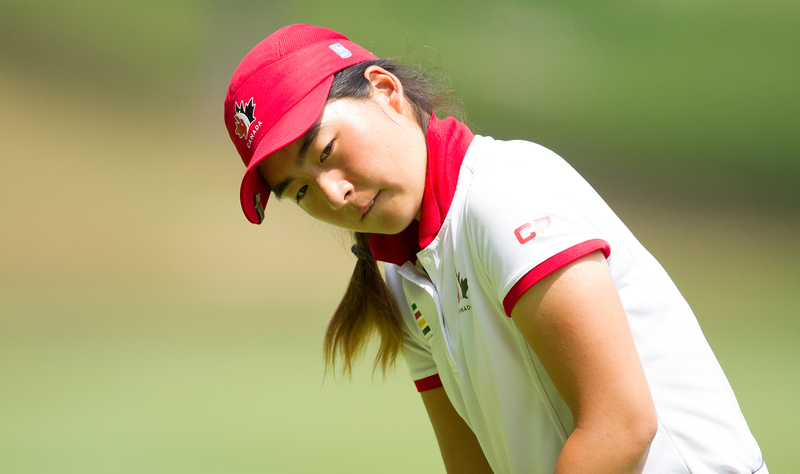 RIVIERA MAYA, Mexico – Team Canada’s Naomi Ko was the lone bright spot on the day for the Canadian trio, carding a tournament-low 66 (-6) on the Iberoster Playa Paraiso Golf Course to lift the team into sole possession of 10th place through 36 holes at the Women’s World Amateur Team Championship. 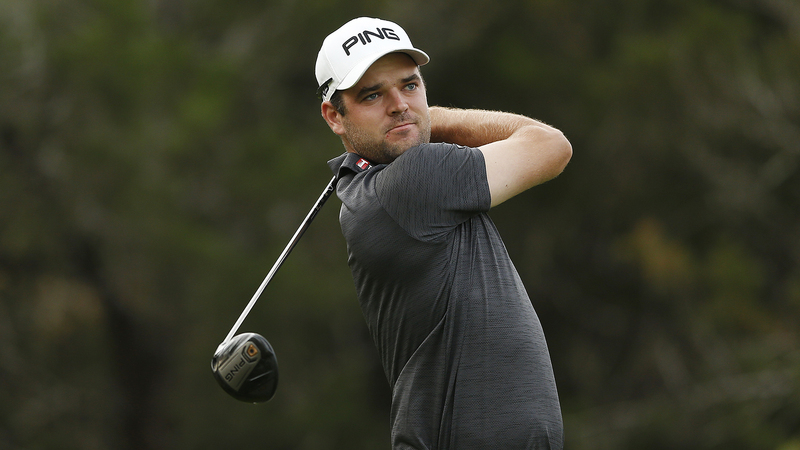 Szeryk, a 20-year-old Allen, Tex., native, sits at 8-over for the tournament to share 60th place, while Doyon, 23, of St-Georges-de-Beauce, Que., sits T106 at 14-over par. The Republic of Korea posted a second-round 137 with a 68 from Min Ji Park and a 69 from Hye Jin Choi for a 36-hole total of 275 to overtake first-round leader Switzerland and gain a seven-stroke advantage at the 27th Women’s World Amateur Team Championship (WWATC). The Koreans are seeking their fourth victory in the event having first claimed the Espirito Santo Trophy in 1996. In 2012 in Turkey, Korea made a similar surge in the second round, moving from eighth-position into a five-stroke lead, and in 2010 in Argentina, they shot a record 128 to move from a tie for 13th into first place. Park, the 16-year-old Australian Amateur champion, posted six birdies and two bogeys for a 4-under-par 68 and Choi, 16, the low amateur at the 2016 U.S. Women’s Open, tallied four birdies and one bogey for her 3-under 69. The team, which began the day one-stroke behind Switzerland, played on the par 72, 6,295-yard/5,752-meter Mayakoba El Camaleon Golf Club. “I will give them the same encouragement and advice for the next two days but my players are doing really well so I will give them the freedom to play their own game and enjoy the championships,” Ko said. 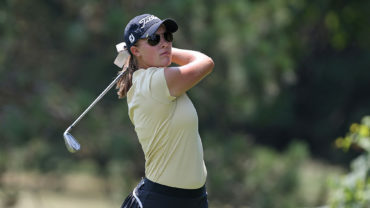 First-round leader Switzerland, playing on the 6,167-yard/5,637-meter Iberostar Playa Paraiso Golf Club, registered a second-round 145 on the scores of the Metraux sisters, Kim (72) and Morgane (73) to hold second place at 6-under 282. Ireland, which was tied seventh after the first round, moved into third position at 287, on a combined 3-under 141 from Leona Maguire (70) and Olivia Mehaffey (71). Maguire is one of two 2016 Olympic participants in the field and the Mark H. McCormack medal winner in 2015 and 2016 as the world’s top-ranked amateur. “The goal today was to try to be under par as a team,” said Maguire, who is a junior at Duke University in the USA. “I had a lot of chances out there that just edged the hole so going into the last two days I will be trying to hole a few more of them and anything can happen really. Denmark, on the strength of a 5-under 67 from Puk Lyng Thomsen, and a 2-under 70 from Malene Kroelboell Hansen, registered a 7-under 137 (matching Korea for the day’s low team total) to move into a tie for fourth with Thailand at 288. The rest of the top 10 includes the People’s Republic of China is sixth at 290 with the Austria and the USA tied for seventh at 291. Host Mexico is ninth at 292. Conducted every two years, the World Women’s Amateur Team Championship has been staged since 1964, with the winner earning the Espirito Santo Trophy. In 2014, Australia claimed the title by two strokes over the Canadian team of Brooke Henderson (Smiths Falls, Ont. ), Augusta James (Bath, Ont. ), and Brittany Marchand (Orangeville, Ont.). In 25 appearances at the Women’s World Amateur Team Championship, Canada has earned runner-up honours four times. The World Amateur Team titles are contested over four days of stroke play. A country may field a team of two or three players. In each round, the total of the two lowest scores constitutes the team score for the round. The four-day total is the team’s score for the championship.